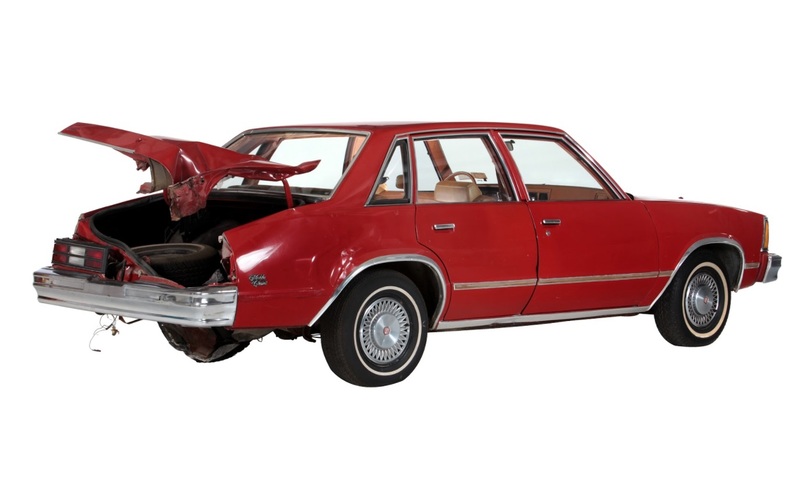 Specimens of the Peekskill meteorite as well as the red Chevy Malibu are available for exhibition. The PMC is approximately 512 cm in length x 160 cm in width and weighs approximately 1680 kg. Overseas transportation is via a standard shipping container. Ground transport must be via flatbed truck. For rental information, contact us at museumcenterpiece@gmail.com or call Constance Chiu at +1-212-302-9200.